This wash pan was part of a collection that belonged to a friend of mine. 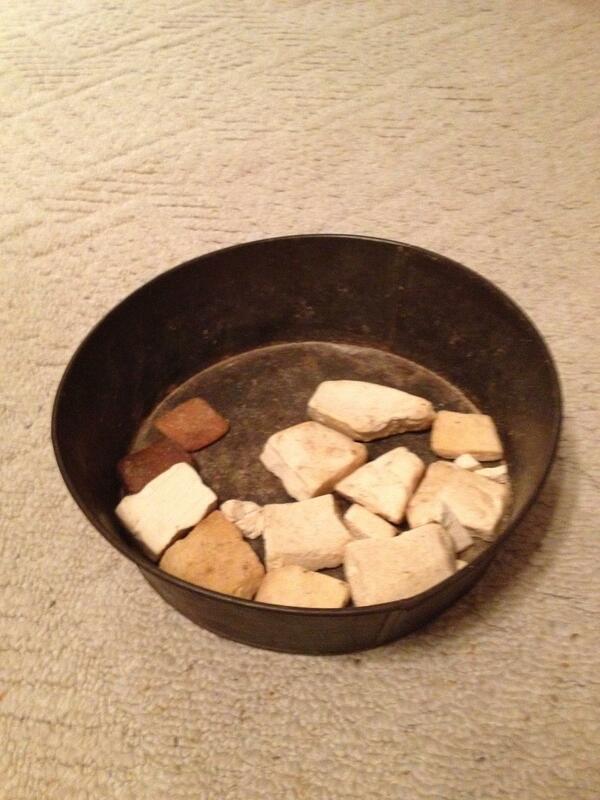 Soldiers would use this type of pan to put water in to bathe. There is very few of these still around. The soap in the pan, came from an old soap house in Murfreesboro TN, that was standing during the war. Although the house has already fell in, the soap was discovered under the old floor on the ground. You can still smell the lye in the soap. What a find.